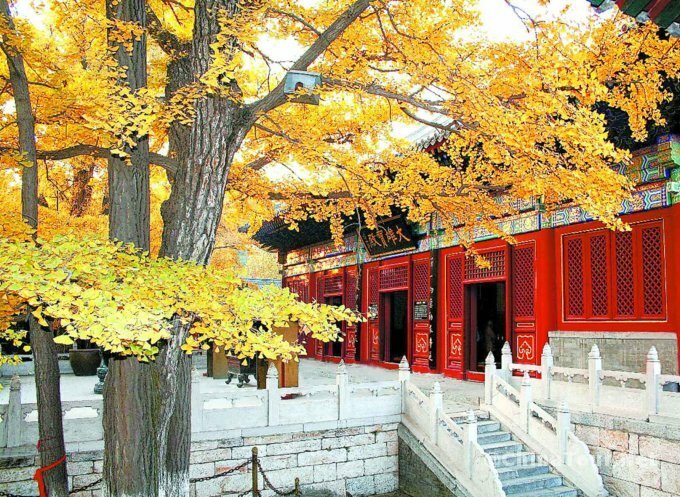 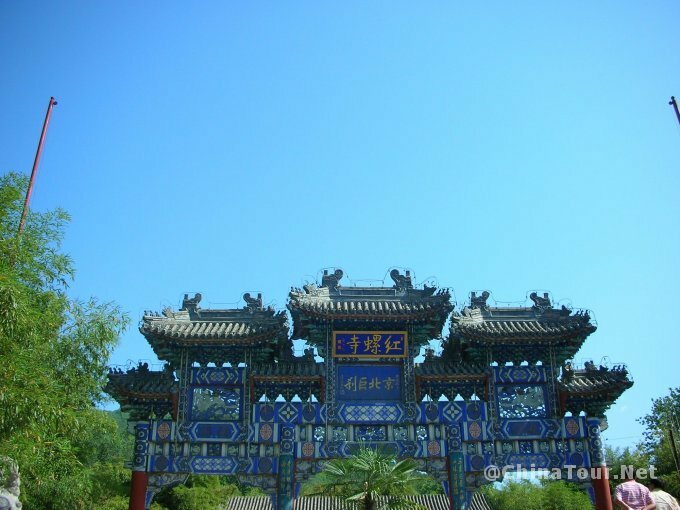 Hongluo Temple(红螺寺) is 4 kilometers away from north Huairou District of Beijing. 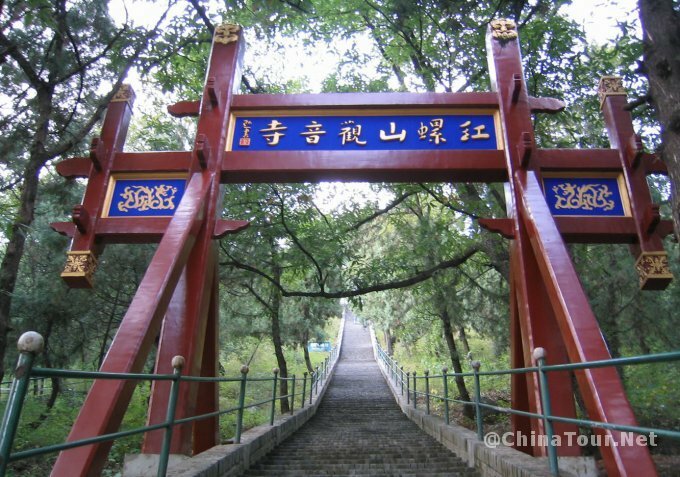 It is covers an area of 8 square kilometers and integrates the natural landscape with manmade features. 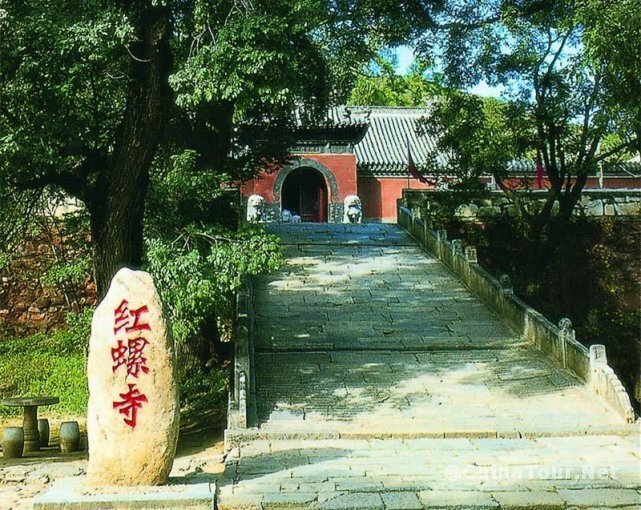 Noted as the source region of Buddhism in north China, It is said that Hongluo Temple in north China is as the Putuo Temple in south China. 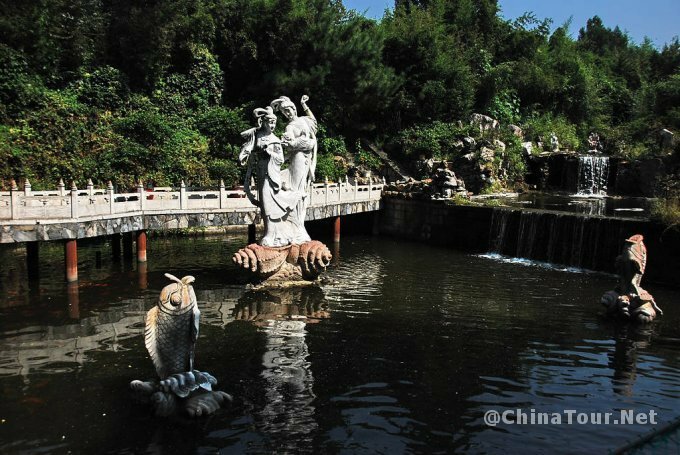 There are three most prominent scenic areas here: Imperial Bamboo, Male and Female Gingko, and Pines Entangled with Chinese Wisteria. 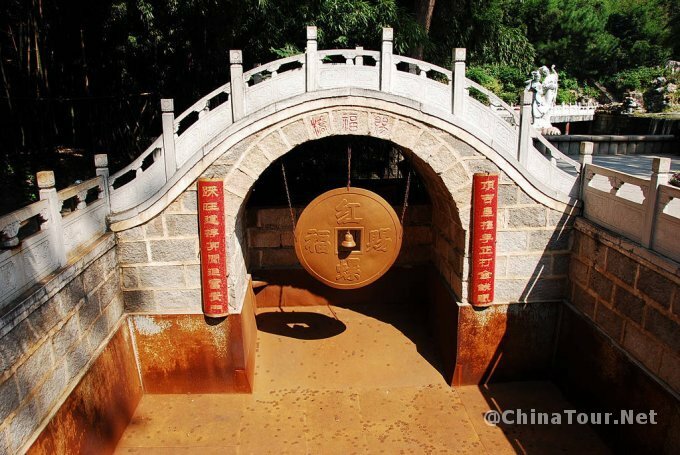 On the first to sixth day in lunar calendar: Hongluo Temple Fair.